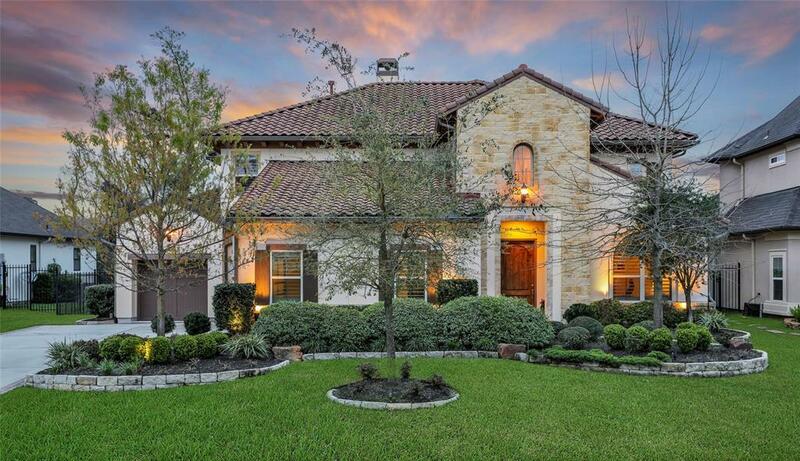 Like-new home in finished, quiet enclave w/Mediterranean exterior & contemporary interior. Thorough design-1st floor in-law suite w/standing shower, mudroom, additional windows & open layout. 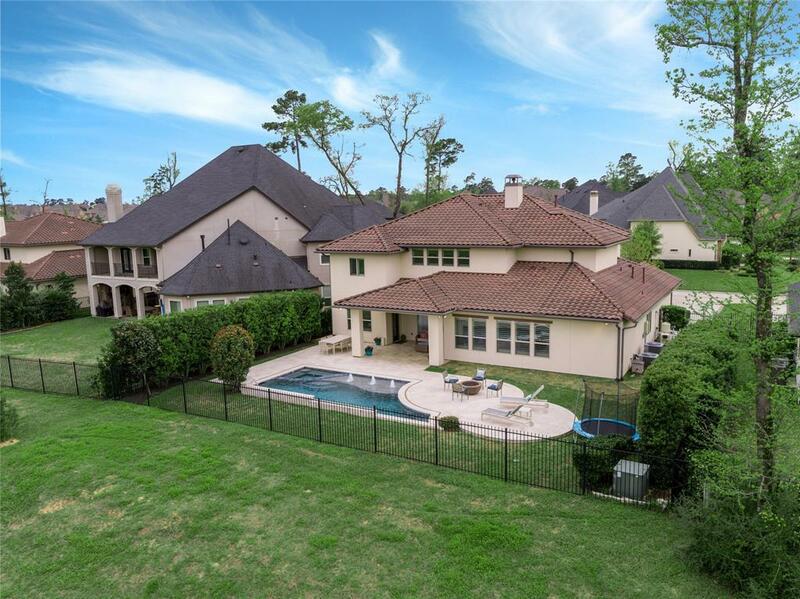 Upscale upgrades: chefs kitchen w/Sub Zero/Wolf, extended island, study built-in, water filtration, home theater, CA shutters, Texas Pools pool/spa/fire-pit, pool safety net, mosquito system. 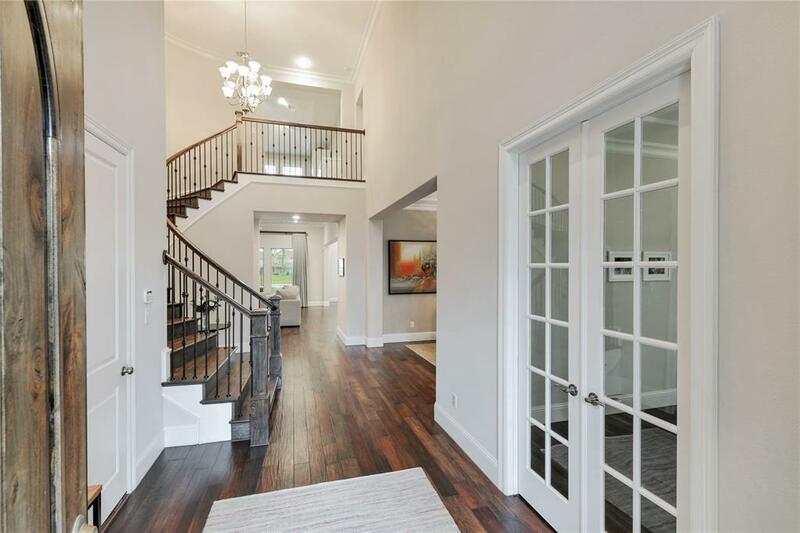 Elegant staircase to large game & media room +3 bedrooms. Backyard oasis designed to balance high-end pool w/entertaining & green space, surrounded by privacy & views of George Mitchell Preserve. Full summer kitchen equipped. Meticulously maintained & no flooding. Premier lot back of neighborhood facing a cul-de-sac, lit up by evening sun & expansive nature views w/sights of wildlife. Constant breeze, cool-to-touch travertine & morning sun allow enjoying backyard all-season. Walk to Woodlands 2nd market street. 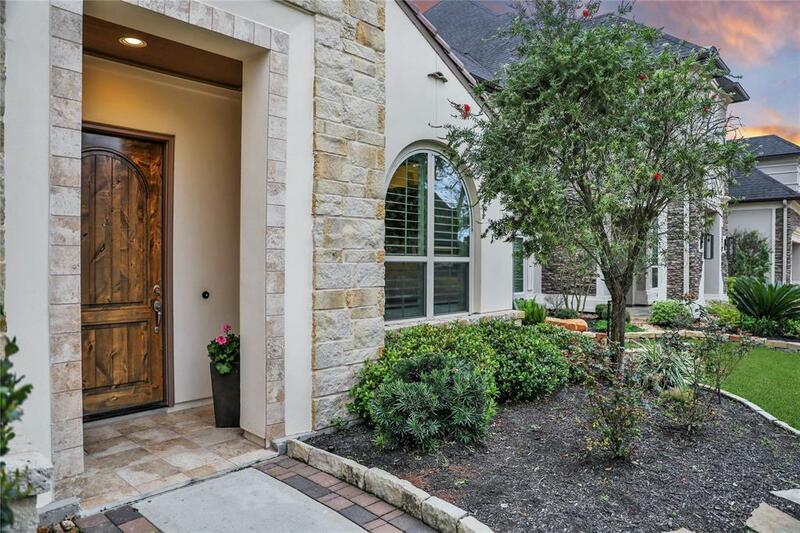 Nearby parks, trails & top-rated public/private schools. Quick access amenities & Grand Parkway.